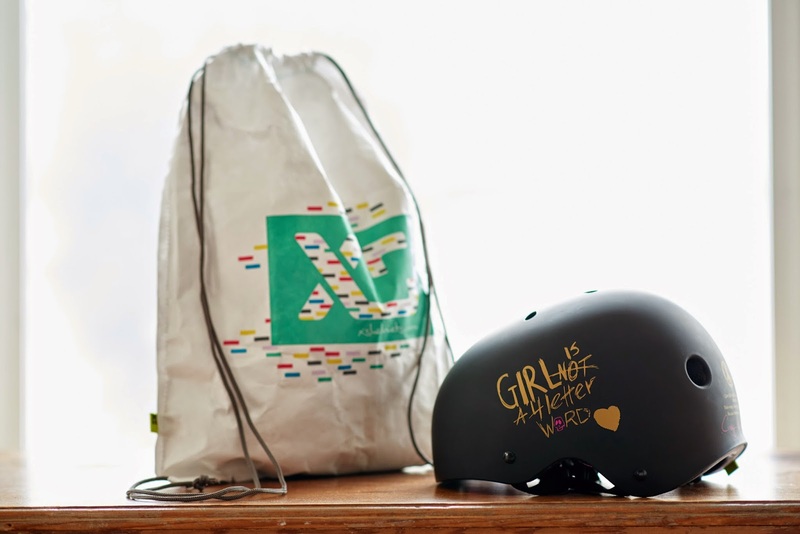 Girl is NOT a 4 Letter Word: Sweet Deal From GN4LW & XS Helmets. Sweet Deal From GN4LW & XS Helmets. Such a sweet Valentines deal from XS Helmets! Every helmet comes in a nice sturdy, white, reusable box, 2 sets of fit pads in bright pink (for a perfect fit) and a limited edition black GN4LW heart sticker as well as XS stickers. You can order on line HERE or if you live near Torrance, CA you can pick one up in person at Van Guard Surf & Sport and we will make sure you also get the free backpack/tote bag with purchase.